Traditional Liposuction vs Laser Liposuction: Which One is Best? No matter how many hours you exercise on a given week or how painstakingly you plan your healthy diet, there is a chance you’ll find excess fat, those annoying little imperfections in certain areas of your body. Sometimes, genetics just gets in the way of the things we want like a toned and sculpted physique, for instance. This is where liposuction comes in and saves the day, or at least corrects these imperfections. The advances in plastic surgery technology, however, makes deciding which liposuction technique to get a little tricky, especially if you haven’t yet sought the advice of a Board-certified Reno plastic surgeon. If you’re still researching, it’s best to find out the difference between traditional and laser liposuction. The number of women opting for breast augmentation in the US has tripled in the last 17 years. At the Talbott Plastic Surgery Center in Reno, breast augmentation is one of the most in-demand cosmetic surgeries. Many things – desires, expectations, hesitations, fears, concerns – contribute to a woman’s decision to elect this type of procedure. Why Do Women Undergo Breast Augmentation? Let’s take a deeper look into the common reasons women decide to undergo breast augmentation. If you’ve gone through a huge weight loss (or if you’ve had a few kids), you probably have some extra fat and sagging skin in your abdominal area. It’s perfectly normal; a lot of women are battling the bulge, just like you. It’s also perfectly normal to feel insecure and to want to do something about it. So, you exercise a lot and put yourself on a strict diet. The sad truth is, regular exercise and diet don’t always tame the tummy. A tummy tuck, also known as abdominoplasty, can get rid of unwanted belly fat and achieve what diets and exercise regimens could not. It’s designed to remove stubborn fat deposits and sagging or “hanging” skin in the abdominal area, and tighten the abdominal muscles. The result is a flatter, more toned stomach. Sounds fantastic, right? That’s $300 you can use to avail of any of Renew MD’s services – CoolSculpting, Venus Freeze, laser hair removal, chemical peels, microdermabrasions, and more. How do you qualify? It’s simple: If you come in for your complimentary consultation and schedule the procedure in that same consultation, you’re in! The Gift Certificate will be distributed upon completion of the procedure. Visit Renew MD to check out their full list of services. Ready to schedule your complimentary consultation? 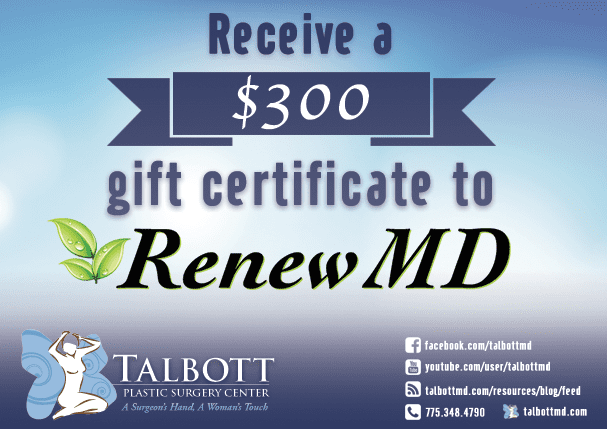 Contact Talbott Plastic Surgery Center today! Breast Augmentation vs Breast Lift: What’s the Difference? Women undergo cosmetic breast surgery for a number of reasons: Sagging breasts, asymmetric breasts, small breasts, etc. The reasons vary, but more often than not, the goal is to have an enhanced physical appearance that can lead to a healthy level of self-esteem. Among the most popular cosmetic breast surgeries in Reno are breast augmentation (mammoplasty) and breast lift (or mastopexy). While it’s understandable to mistake one for the other, these two breast surgery procedures address different concerns. At Talbott Plastic Surgery Center in Reno, we conduct extremely thorough one-on-one consultations and take into account a woman’s goals and expectations before recommending the best procedure for her, whether it’s a breast augmentation or lift. We all want to look and feel our best, and we go to great lengths to exercise more and live healthier. But as we’ve found out, there are certain things diet and exercise can’t address. Body contouring is a great example, for which we have cosmetic surgery. So you’ve done your research; you’ve thought once, twice, three times! The question you’re asking now is, “Can I afford it?” We won’t sugarcoat it: The cost for cosmetic or plastic surgery in Reno is high. 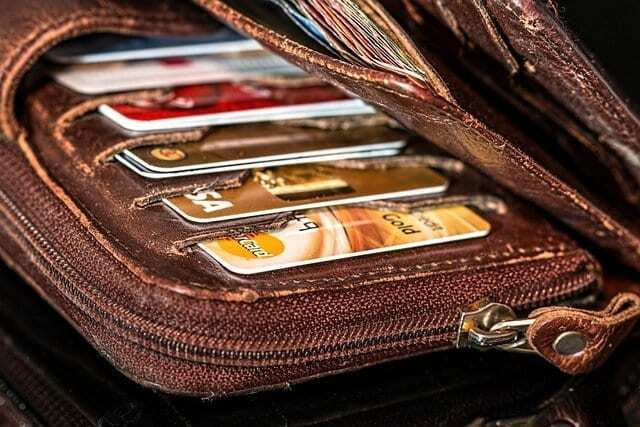 At Talbott Plastic Surgery Center, we believe you shouldn’t sacrifice your dream of looking and feeling your best because of the cost, so we offer various payment options – cash, check, credit – to make cosmetic enhancements attainable. But we also offer cosmetic surgery financing to give our patients the flexibility of spreading out the cost over a certain period of time. 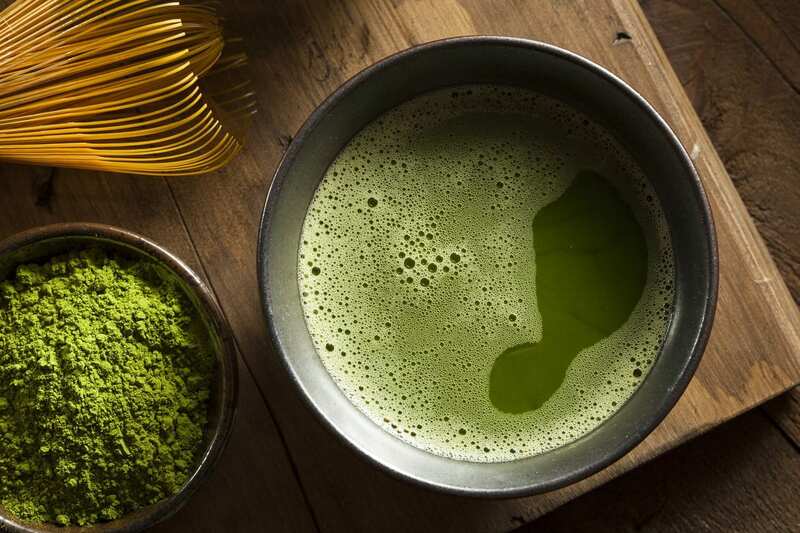 Heard of matcha green tea, but haven’t tried it yet? You should! In today’s hectic lifestyle, you need an energy booster, as well as a natural stress reliever. You’ll find both in the wonderful matcha green tea, something that Dr. LaDawn Talbott herself swears by. You don’t always see the words “plastic surgery” and “fitness” together in one sentence. 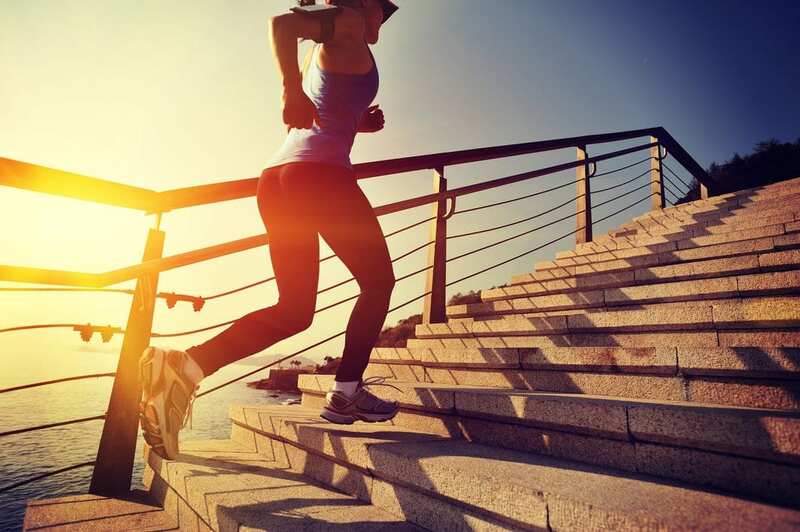 We’ve heard the arguments: Plastic surgery is a shortcut for those who don’t want to exercise. Plastic surgery is the lazy way to achieving a slimmer physique. The list goes on. There are those who advocate fitness and healthy living, emphasizing that all-natural is the way to go, while there are others who opt for plastic or cosmetic surgery. It seems these two camps – plastic surgery and fitness – can’t reconcile. When Vickie Francovich walked into the Talbott Plastic Surgery Center for a consultation, little did she know that she would be a spark of inspiration in someone’s life. That life happened to be none other than Dr. LaDawn Talbott’s. Dr. Talbott, a fitness enthusiast, has always been honest about how she felt about working out. 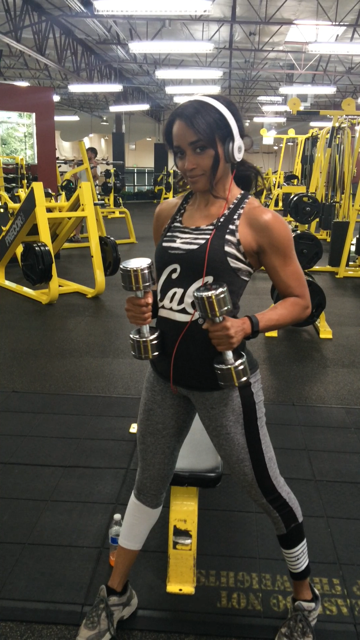 “I’ve always enjoyed working out, but I never really made it a priority,” she said. 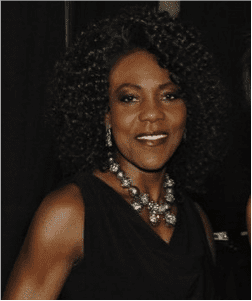 But that all changed when Vickie came into her office, and inspired her to get fit and healthy. Just who is Vickie Francovich, and what is it about her that makes her so inspiring?